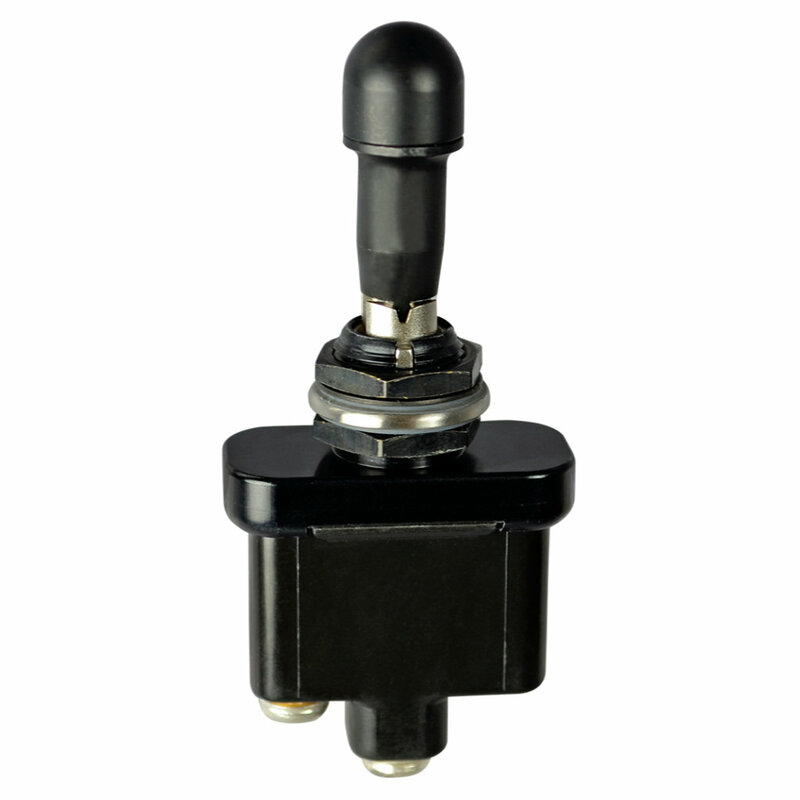 The T9 series of sealed toggle switches from OTTO are single or double pole switches with single or double throw operation and latching or momentary actions. Designed for military and commercial markets the T9 series can handle the most rugged of conditions whilst maintaining reliable high performance through the use of a high contact pressure and OTTOs excellent contact wiping action. The T9 series of sealed toggle switches from OTTO are single or double pole switches with single or double throw operation and latching or momentary actions. Designed for military and commercial markets the T9 series can handle the most rugged of conditions whilst maintaining reliable high performance through the use of a high contact pressure and OTTOs excellent contact wiping action. Electrically rated to 20A (resistive) at 28VDC in latching action only and 15A (resistive) at 115VAC/28VDC the T9 series is sealed to MIL-DTL-3950 for military models and IP68S for commercial models with a mechanical life of 40,000 cycles and a choice of lockout configurations. The T9 series is perfect for applications such as Agricultural Equipment, Industrial Equipment, Off-Highway Vehicles and Military applications.